I am 23 years old from Surrey and have been modelling for only around 3 months. 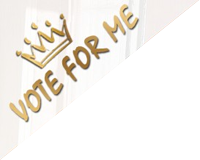 Top 12 - Miss Central London GB Top 6 - Miss Swimsuit UK Commerical model http://www.gapmodels.com/kenzii/ I am a size 6/8 and have a 32 DD bust - natural EVERYTHING no fillers etc I go to the gym 3 times a week to keep myself in shape and have previously done fitness modelling. I also play alot of sport and used to play golf for England - I currently play off a handicap of 8.